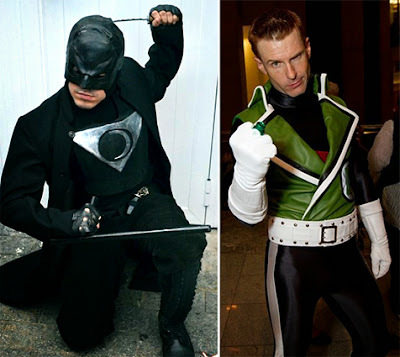 It's A Dan's World: NOW COMES THE COSPLAYER: Red Hood, Guy Gardener, Midnighter and Warlock! 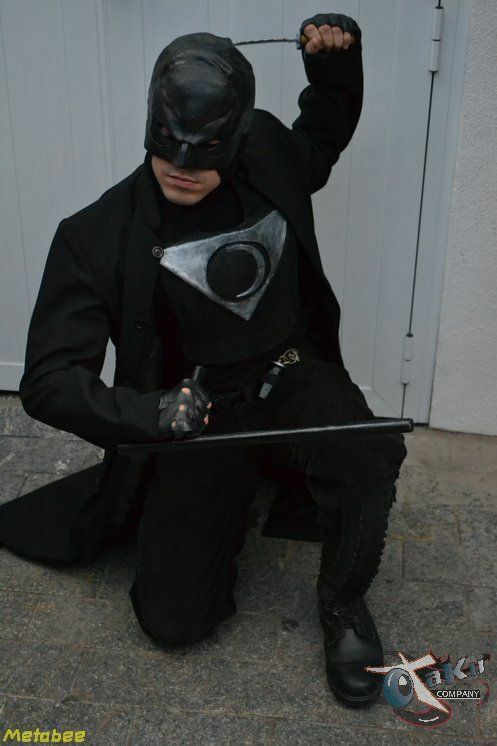 NOW COMES THE COSPLAYER: Red Hood, Guy Gardener, Midnighter and Warlock! Christmas carolers always dress in red and green and go door to door, but they rarely yet you join in when you and your mates try and join in dressed as Daredevil, Deadpool, Electro and an eight person 'Chinese Dragon' style Fing Fang Foom. I tell ya, some crowds are so elitist! Proving their style is faultless in not so similar circumstances, these fine folk have left the regular choices on the shelf, and got into cosplay cool as some of comics best cult concepts. The Red Hood is infinitely more interesting than Jason Todd ever was as Robin. His new identity has actually provided a reason to bring back a character whom the DC Universe previously was better for when they were deceased. Not only does the cloak and dagger-ish Red Hood nicely fill that non-millionaire vigilante slot in the DCU - it encourages great fan efforts like this, captured by FirstPersonShooter. Now former Wildstormer Midnighter may be a recent DC convert, but The Authority's one man strikeforce needs more Cosplayers to take up his image - especially if it works out as well as this one found here. It used to be, being a red-headed male, cosplay for you was limited to either Archie or someone with a mask. Guy Gardener not only changed all that, he gave us our own attitude heavy hero to adopt, and one Derek DeWeese magnificently adds to his online cosplay gallery. If I looked into my crystal ball, I'd say The New Mutants is a yet to be announced movie in the planning from Fox, as they continue to explore their X-license. Combining teens and persecution is a recipe for blockbuster success, and this fantastic fan effort of Warlock found on SCF is so good, it seems like a screen-test / pitch in progress! that Red Hood just steals the show! Thought you'd like that one Dave! It's more than a costume huh? That actually seems like an actual outfit, well that and the Red M&M dude gone bad, but still you can actually picture him walkin' down the roads! I am a huge fan of the coplay and as close as they get to blurring the line between cartoon and reality the better it is. That Red Hood is beautiful work. Hey Kal thanks for the comments mate! 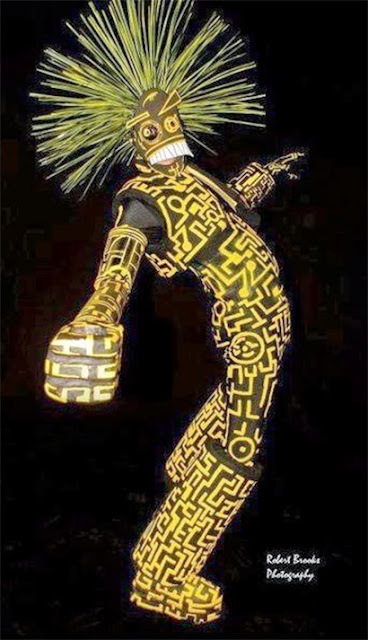 To be honest, I think it is such a powerful cosplay, it alone has made me think more of the character than any comic or animated appearance yet. I mean when it looks that natural, how can it not? 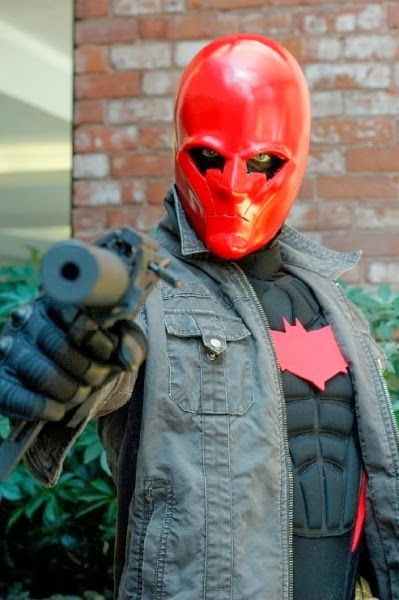 That Red Hood cosplay looks FIERCE! Really threatening. The Guy Gardner one looks as if Chris Evans is doing cosplay! Thanks Karl - I never saw that in Guy, but now that's all I see!